Bandipur's deciduous habitat is ideal for viewing elephant, gaur, sambar, chital, wild boar and if you are lucky tigers, leopard and wild dogs are also sighted. Season: March to May is best time for sightings. October to Feb, when the climate is pleasant, the forest is at its greenest best. Cuisine: Buffet consisting of both veg. and non. veg dishes, mainly from local flavour. Cost includes stay, all meals, jeep safari into Bandipur Tiger reserve, guided nature walk, wildlife movie, campfire, forest entry fees, camera fees & taxes. Single occupancy supplement charges will be Rs. 1100 - for indians & Rs. 1700 for foreigners. Dollar rates applicable for foreign nationals to be paid in Rupees. 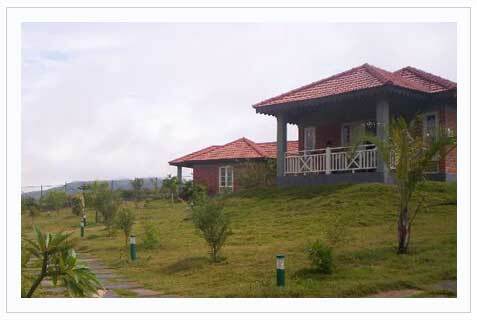 Bandipur is 220 kms from bangalore, 80 kms from Mysore or Ooty . This property is situated one km. before the national park boundary, when you are going from Mysore. 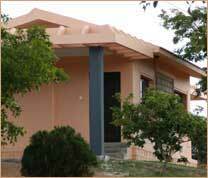 At Gunlupet, you need to go further up to reach Bandipur ( 15 kms). By mistake, you take a right, you will on a different route to Calicut.